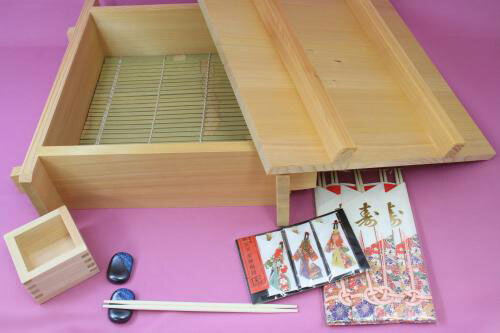 A steamed dish kit used for kaiseki cuisine (that originates from the Japanese tea ceremony). The square steamer made of Japan's indigenous sawara cypress helps to preserve the taste, and finishes the food beautifully. The best selection includes wooden box sake cups essential to Japanese cuisine, complimentary chopsticks and other accessories.